Am I the only one addicted to Netflix? Well anyways, I’ve been watching tons of animations and feeling very creative lately and decided that at 2am I’m going to re-create another character. Today’s look is also another ‘first attempt’… and it’s from The Corpse’s Bride and the character is Emily. Again the only edits that were done to this picture is changing my hair color from black to blue. I’m thinking of re-creating Sally at a later time. 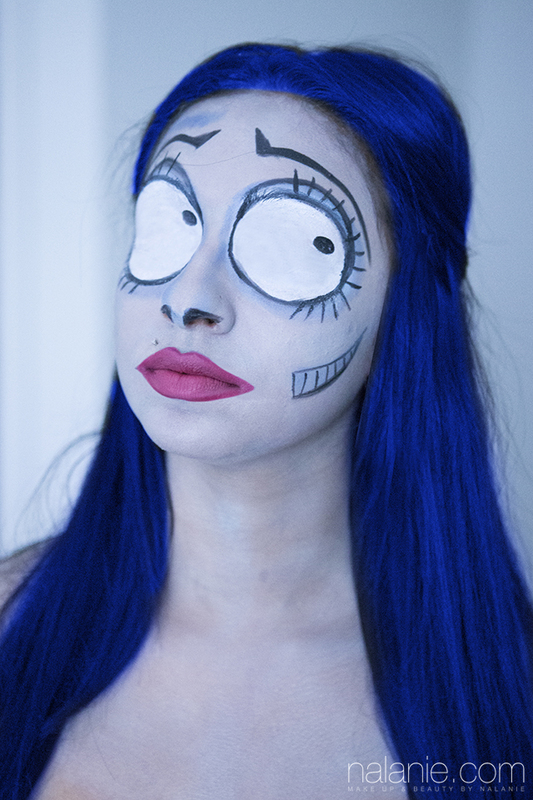 This entry was posted in DIY, Makeup and tagged blue hair, corpse bride, corpse bride emily, makeup, makeup artist, mua. Bookmark the permalink.